NovelEasy is the online writing platform for writers of all skill levels. Whether you’re a published author or budding talent looking for life beyond status updates, you can get away from the noise and focus on telling your story with NovelEasy. You want to write but you get distracted when you go online. Humans are creative. We have ideas and incredible stories to tell, but often we end up scrolling instead of writing. Is the next Shakespeare out there fishing for “likes”? Is the next Dickens sharing memes? NovelEasy wants to change that. Here you can unleash your creativity and write something you can be proud of. You’ve always wanted to write a book. Let’s do it! Just start typing into the distraction-free text editor and NovelEasy will automatically and securely save for you. Click on a title for quick inline edits, then jump right back into your writing. Best of all, NovelEasy is 100% FREE to join. 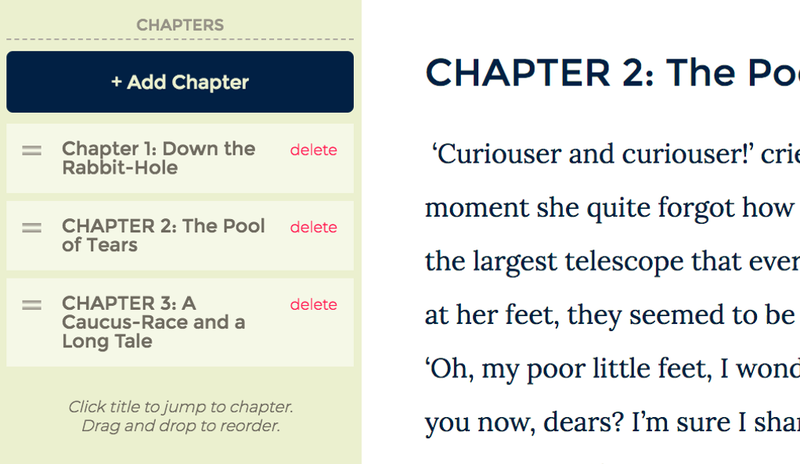 Easily add, reorder, delete, and navigate chapters. Start using them to build an outline, then add text to flesh out your story. All the flexibility of a three-ring binder, but a whole lot easier. 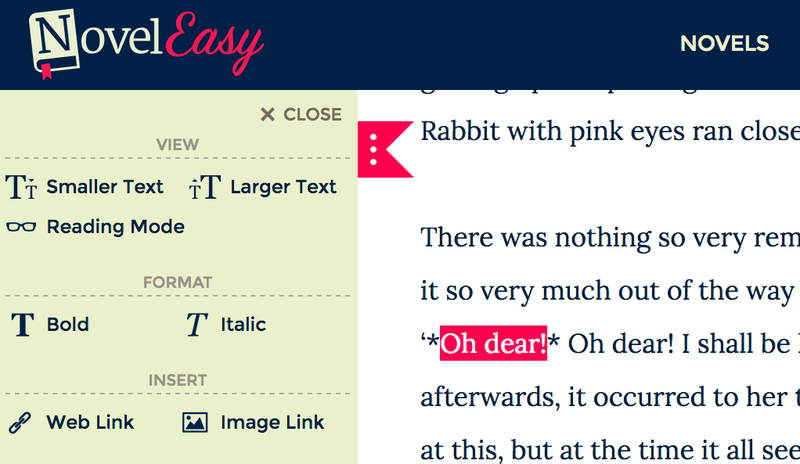 Spruce up your writing with NovelEasy's convenient Markdown buttons in addition to typing in your own tags. 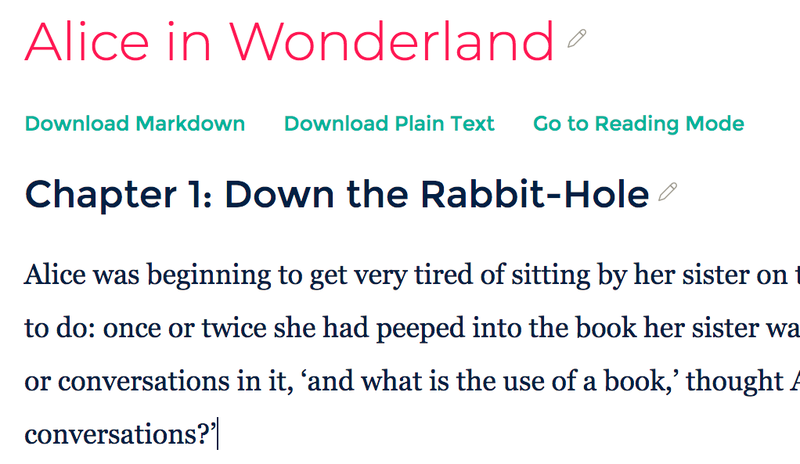 The built-in Markdown renderer will display your styling right in your browser. Best of all, everything you type is preserved exactly as you entered it. 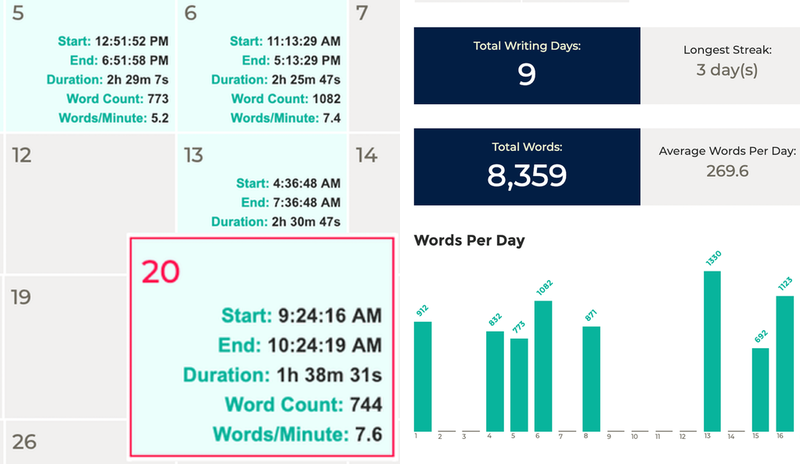 Track your daily progress with word count, time spent writing, days spent writing, monthly totals, and more! Go back and see your past statistics* and get a true picture of your writing journey. *Statistics recorded from December 2018 onward. Monitor your book's length using NovelEasy's word counter. 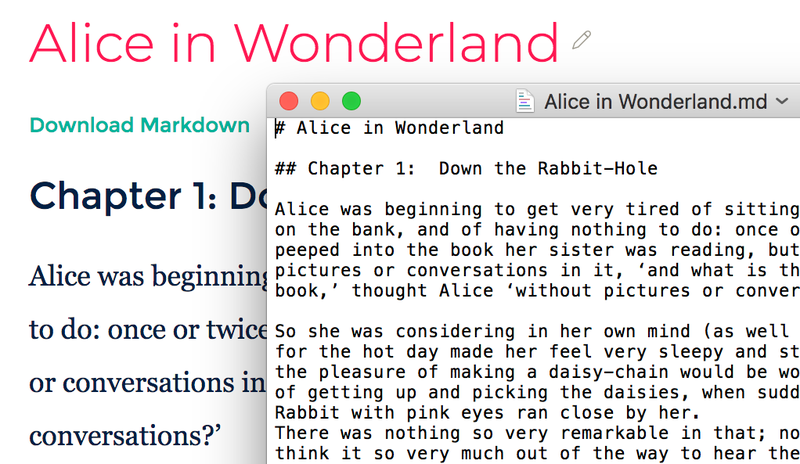 Review your novel in Reading Mode then, when you're done, export it as a Markdown document that you can open with most text editors.